A visit to a historical National Trust Property called La Rochelle Estate inspired Louisa Treger author of The Lodger (Macmillan 2014) to write a book that has just been published by Jonathan Ball and Bloomsbury Caravel! It’s a work of historical fiction based on the lives of Sir Stephen and Lady Virginia Courtauld who built the unique 108 hectare property in 1951 as a retirement home. 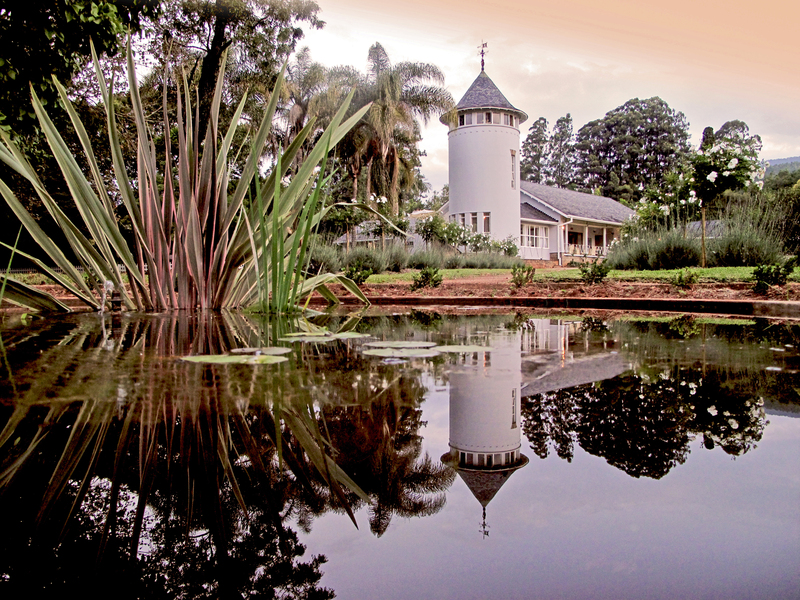 The French style tower and house, with Welsh slate roof tiles, is situated in the Imbeza Valley in Penhalonga. 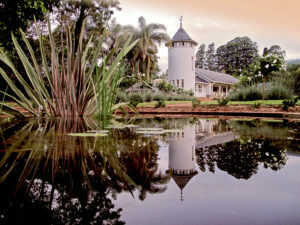 It was generously bequeathed to the National Trust in 1972 and one of the best known of the Trust’s properties in Zimbabwe see http://ntoz.org/properties/la-rochelle-estate/. 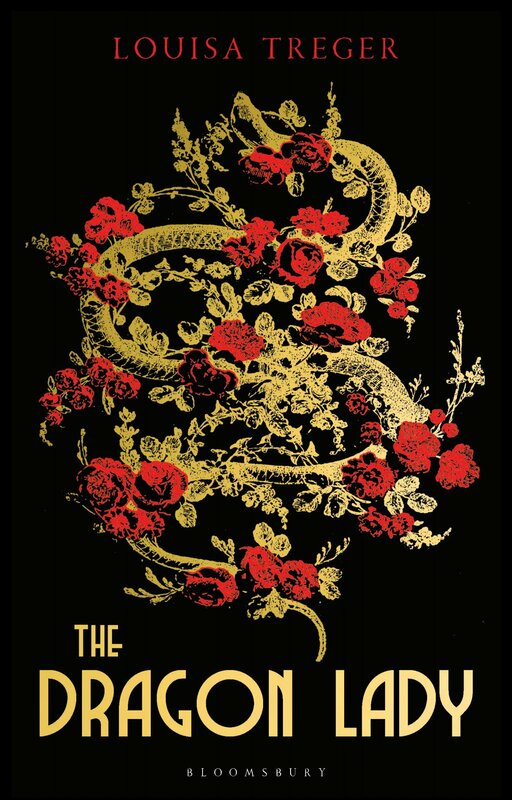 The Dragon Lady tells the extraordinary story of Lady Virginia Courtauld, so called for the exotic tattoo snaking up her leg. From the glamorous Italian Riviera before the Great War to the Art Deco glory of Eltham Palace in the thirties, from the secluded Scottish Highlands to sultry, segregated Rhodesia in the fifties, the narrative spans enormous cultural and social change. 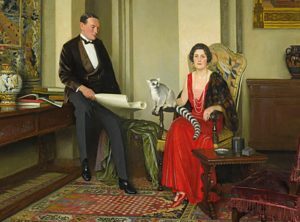 Ostracised by society for being a foreign divorcée at the time of Edward VIII and Mrs Simpson, Ginie and her second husband Sir Stephen Courtauld leave the confines of post-war Britain to forge a new life in Rhodesia, only to find that being progressive liberals during segregation proves dangerous. Subtly blending fact and fiction, deeply evocative of time and place the story is threaded throughout with intrigue, this is a riveting portrait of a boundary-breaking, extremely colourful and unconventional character, who rejected the submissive role women were expected to play. In 2018 Lady Virginia was celebrated on International Women’s Day by the International National Trust Organisation, see https://intoorg.org/programmes/iwd. In an interview with the Trust, Louisa explained that she was particularly interested in the personalities and relationships of Sir Stephen and Lady Virginia. She said that she wanted to share such an interesting story and display the Courtaulds’ generosity towards Zimbabwe. She consequently spent time researching thoroughly for the book and interviewed many people who knew the Courtaulds’ personally including some members of the Courtauld family. Louisa spent time at La Rochelle and at their previous home Eltham Palace a royal residence from the 14th to the 16th century and the childhood home of King Henry VIII of Tudor. The Palace in Greenwich, UK is administered English Heritage who manage and conserve over 400 historic buildings and sites in the UK. The Tudorian mansion, acquired by the future Edward II in 1305, was re-designed to the Modernist tastes of Sir Stephen and Lady Virginia Courtauld when they took up residence in the 1930’s, then twenty years later, in the 1950’s they retired in Zimbabwe. Louise studied historical information contained in the Mutare Museum and archives, and worked with English Heritage, The Courtauld Institute and The National Trust of Zimbabwe. 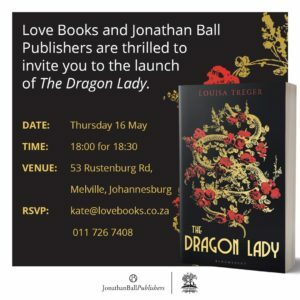 The Dragon Lady is available now in all good book stores and on-line from Bloomsbury.com/uk and Amazon. 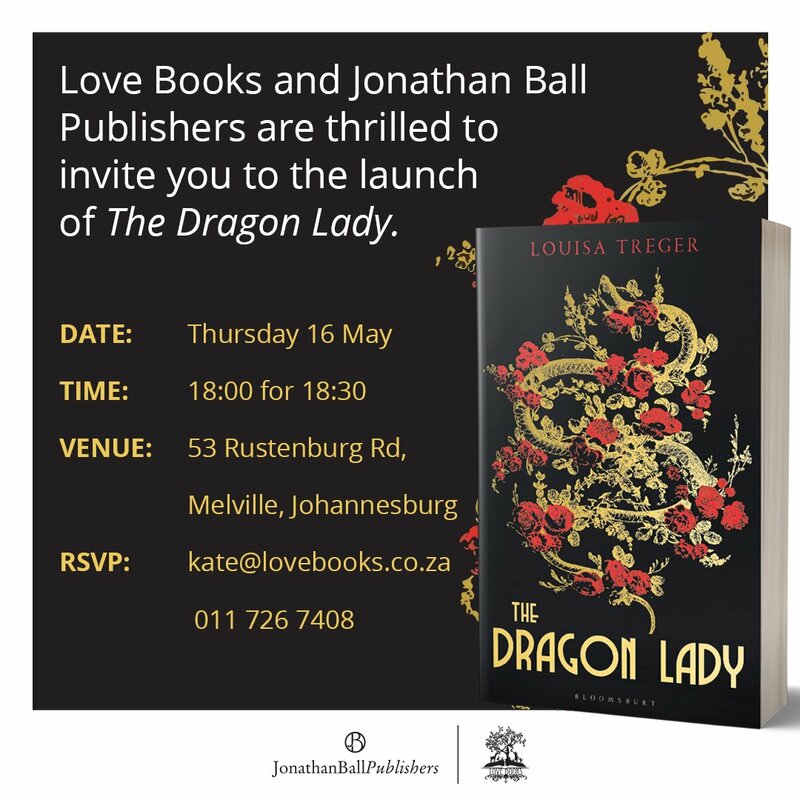 Exciting news for us: it is also being released in South Africa in May 2019 with launches in Johannesburg on 16th May @LoveBooksJozi and at the Franschhoek Literary Festival 17th-19th May. Other book events are being held in the UK and USA and Louisa will be at them meeting people and personally signing copies of her book. More exciting news: Louisa is planning to visit Zimbabwe later on this year and The Trust will host an event to celebrate and honor her new book and her dedication for writing it. The Trust is planning to create three historical documentaries based on the life and legacy of Sir Stephen and Lady Virginia Courtauld and their love for art, culture, music and beauty, but most of all their incredible philanthropic generosity, foresight and empathy. Louisa Treger, a classical violinist, studied at the Royal College of Music and the Guildhall School of Music and worked as a freelance orchestral player and teacher. She subsequently turned to literature, earning a Ph.D. in English at University College London, where she focused on early-twentieth-century women’s writing and was awarded the West Scholarship and the Rosa Morison Scholarship “for distinguished work in the study of English Language and Literature”. Louisa’s first novel, The Lodger, was published by Macmillan in 2014. She lives in London, but her late mother was South African and Africa is in her bone and marrow. You can tweet Louisa on twitter.com/louisatreger?lang=en and visit her on facebook.com/louisatregerwriter. Here are some stunning reviews of the book including one from our very own Tsitsi Dangarembga , a Zimbabwean Award-winning novelist, filmmaker, gender and cultural activist. “Treger has captured the last days of colonial Rhodesia perfectly. It is not just Lady Courtauld’s story, but also the people fighting for the country’s future. 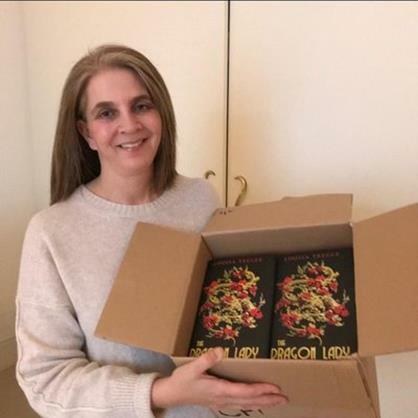 And while the book may only focus on a small piece of Zimbabwe’s long complicated history, it does so with emotion and fire.” Sally Partridge, author of Mine. Beth Miller, author of The Good Neighbour. Annabel Abbs, author of Frieda: A Novel of the Real Lady Chatterley. “An evocative, beautifully written story with a mystery at its heart. Clever and compelling I couldn’t wait to find out who shot The Dragon Lady, but at the same time I was so immersed that I didn’t want it to end. Highly recommended”. Claire Douglas, author of Do Not Disturb. Essie Fox, author of The Last Days of Eda Grey. Rebecca Mascull, author of The Wild Ai. 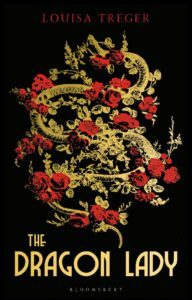 “A haunting, evocative novel that explores what it is to be an outsider with its portrayal of a truly remarkable woman. Louisa Treger vividly brings to life both the historical characters of Virginia (Ginie) and Stephen Courtauld, and life in 1950s Rhodesia, in a deeply moving blend of fact and fiction that is intimately personal while painting a broader picture of a divided society.” Alison Layland, author of Riverflow.